Aside from our day-job (recruiting awesome talent), we are taking a STAND and giving BACK to our community. We are not your typical recruiting firm. Great business is our goal, but giving back to the community is our mission. Hire For Hope sponsors a domestic violence agency to help them provide shelter, educational tools, and services to thousands of women and children in need. TEN PERCENT of our revenue is gifted to help these women and children escape domestic violence and rebuild their lives. Every day ONE out of SIX women are unable to obtain services for domestic violence due to the lack of funding at shelters and agencies. Together WE can make a difference and make sure that every woman feels safe. As a comprehensive domestic violence agency, Safe Haven Ministries provides emergency shelter, supportive counseling, case management, legal advocacy, hotline support and educational services to over 2,500 individuals annually. As a privately funded agency, Safe Haven relies on individual donors, businesses, foundations, and churches to support its life-saving work. Safe Haven has helped victims and their children escape abusive relationships and live healthier and safer lives for over 25 years. Additionally, Safe Haven runs the largest domestic violence prevention and education program in the county—providing nearly 250 trainings yearly to human service agencies, healthcare providers, workplaces, teens, and faith communities. Our Founder, Ashley Ward, is a former client of Safe Haven Ministries, and always knew that she wanted to repay them for their powerful and life changing work.  Hire For Hope was born, a recruiting firm with a greater cause, and the ability to partner with Safe Haven as a proud sponsor, donating ten percent of its revenue to support their gracious cause. By utilizing Hire For Hope’s recruiting services you can make a difference. For every average candidate placement made at Hire For Hope, four families can receive a week of shelter and escape domestic violence. Safe Haven relies on individuals and businesses to support their services. Donate directly and change someone’s life today!